FIMI X8 SE is in stock in GWTR warehosue now. But the preorders in CN warehouse can't be shipped out in GWTR warehosue by the shipping method you chose due to some specific restrictions of the logistics carrier. Please contact banggood customer service to change the shipping method and we will ship out your order in priority. Thanks for your support! Please note that you do not need to pay the extra shipping fees for changing the shipping method. 1. With Foldable and portable design, the drone is easy to carry. 2. 3-axis Mechanical Gimbal: It combines a light weight 3-axis mechanical gimbal with the latest professional control algorithms,bringing in the ultra smooth and jello-free videos even in high-speed or strong-wind conditions. 3. 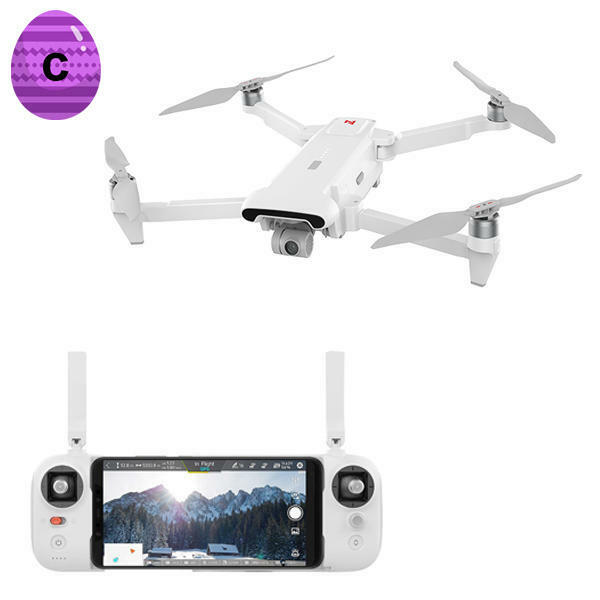 4K 100Mbs Videos: The drone shots video at an incredible 4K/30fps and captures every moment perfectly. 4. 5 KM Range: The image transmission distance is up to 5km improved by enhanced anti-interference performance and adaptive streaming bitrate technology. 5. Flight time is up to 33mins with 11.4V 4500mAh lipo battery. 6. Smart Tracking Mode: With the powerful visual tracking system, the drone can precisely lock the target with more powerful flight planing shooting. 7. Precise Vision Positioning System: GPS+glonass dual-satellites positioning systerm ensures more precise hovering and faster positioning. 8.The transmitter is with detachable sticks and stretched structure design.